South Korea’s ambassador to Russia revealed on Monday that North Korean dictator Kim Jong-un is likely to visit Russia this month amid warming relations between him and President Vladimir Putin. South Korean Ambassador Woo Yoon-keun told reporters that although the two countries had not yet reached a formal agreement, the two sides were likely to meet before the end of November. Woo also confirmed that Vladimir Putin will visit South Korea within the next year in a bid to further progress with regard to their ongoing peace negotiations with North Korea. In May, Russian Foreign Minister Sergey Lavrov visited Pyongyang, where he delivered a message inviting Kim Jong-un to Moscow for a meeting with Putin. The following month, Putin sent his own personal invitation to the young communist dictator, promising to build strong ties between the two regimes. 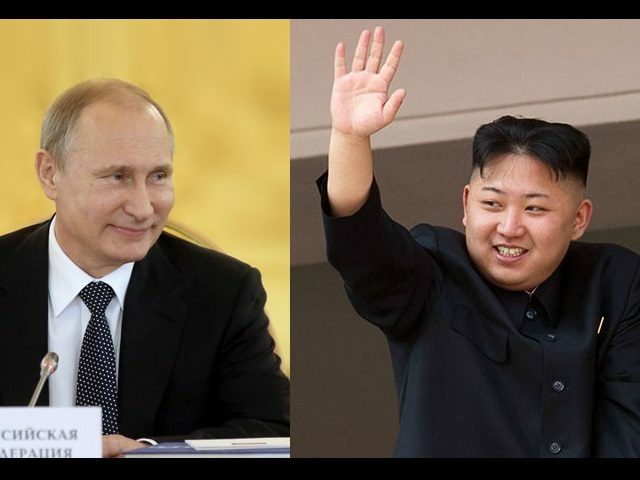 Russia and North Korea have developed close diplomatic ties since the end of the Korean War, with Russia providing essential economic assistance to the regime while opposing international sanctions and attempts to isolate the country economically. Putin was also a close ally of Kim Jong-un’s father, Kim Jong-il, with the pair both holding state visits in their respective countries.